Constructora Chufani is a general contractor offering a full range of services, from design to construction of industrial, institutional and commercial buildings. 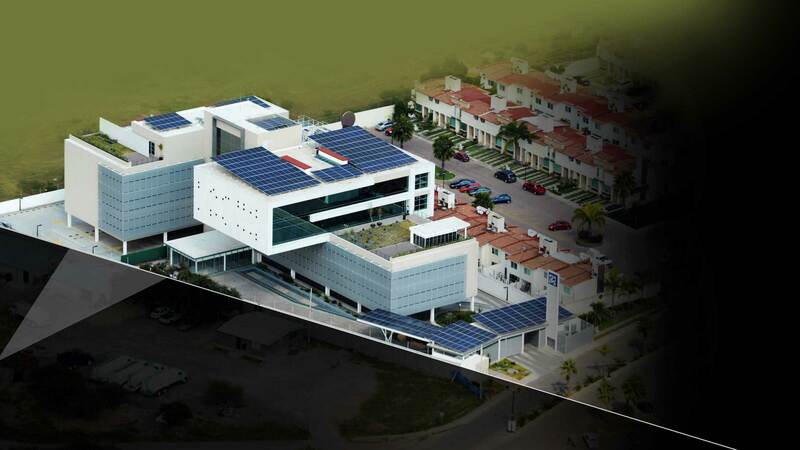 It is considered one of the 10 top construction companies in its field in Mexico, and it is certified with the highest global standards in the construction industry, among them, quality, safety, environmental care and project management. For 26 years Construtora Chufani has provided a committed and satisfactory service to national and international companies with highly efficient projects both in terms of cost and lead times. Chufani specializes in "Fast-track" projects. It emerges due to the support of highly trained specialists in architectural design, cost control, structural, mechanical, electrical, electromechanical installations and earthwork engineering, which are handled using machinery of its own. Offering realistic and innovative solutions to its customers is Constructora Chufani's philosophy, thereby building long term business relationships and friendships with them, since our most valuable asset is customer satisfaction, translating into reliability and customers' kind recommendations. Being a leader in the specialized services of design and sustainable construction of industrial, commercial and institutional buildings, using our experience and innovation, generating human value though the professionalism, passion and commitment of our people, exceeding the current and future expectations of national and international customers and thus consistently demonstrating our ability to provide an excellent service. To provide the best specialized service in design and sustainable construction of industrial, commercial and institutional buildings, exceeding world-class quality, occupational safety and health standards with a highly qualified staff and based on our organizational values ​​in line with environmental care, thus ensuring international recognition, reliability and preference, also contributing to the development of our country and our human resources by the "Chufani Attitude", thereby exceeding our customer expectations. Constructora Chufani is committed to meeting and exceeding our customers' current and future expectations, to continuously enhancing and innovating our design and construction processes in industrial, commercial and institutional buildings by applying and exceeding world class quality standards and thus ensuring the optimal growth of our organization. Constructora Chufani is strongly committed to maintaining and improving the occupational safety and health of all people involved in each of our projects. The above, by complying with our certifications' and customers' requirements as well as with legal requirements, identifying hazards to prevent injuries and illnesses and implementing best practices and safety and occupational health standards acknowledged worldwide. Constructora Chufani is a member of the US GREEN BUILDING COUNCIL since year 2010 and it is therefore, one of the pioneering companies in our country regarding sustainable design and construction. It has certified LEED PLATINUM and LEED GOLG projects.